One in eight women in the United States will be diagnosed with breast cancer in her lifetime. It is the most commonly diagnosed cancer in women and the second leading cause of cancer death among women. Death rates from breast cancer have been declining since 1990, due in part to better screening and early diagnosis, increased awareness and improved treatment options. The American Cancer Society recommends women begin screening mammography at age 40. 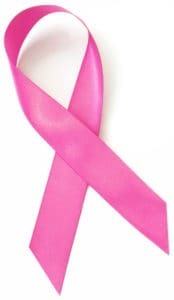 Women who have a family history of breast cancer, or who are known to have high risk factors for breast cancer, should discuss earlier screening with their physician. Peninsula Imaging has three 3D mammography machines – considered the gold standard in breast cancer screening. This enables quick scheduling of appointments while reducing exam wait time. For your convenience, evening appointments are available. If you had your previous mammogram at another facility, we can easily obtain your previous results for comparison. Radiologists, as well as a Clinical Breast Navigator, are on-site and available for consultation. As the area’s leader in imaging, we offer a full line of breast care services in addition to mammograms including breast ultrasound and 3T breast MRI.